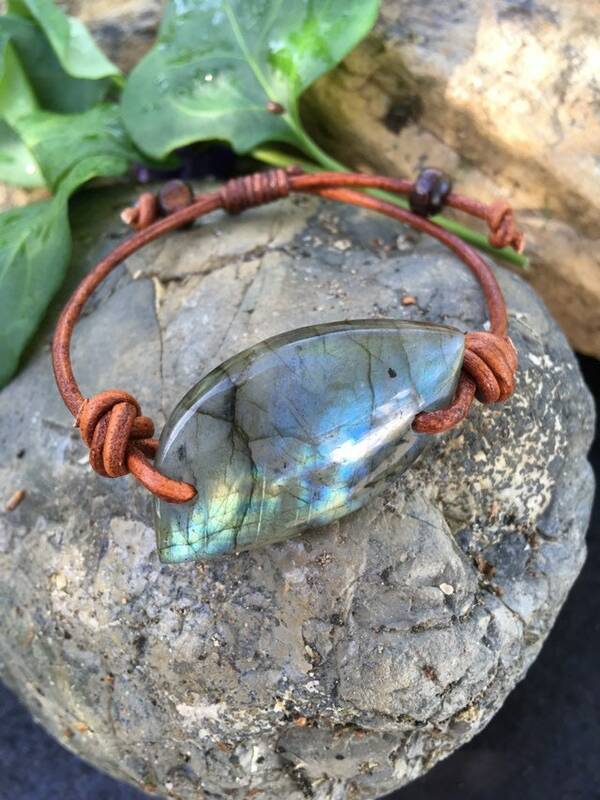 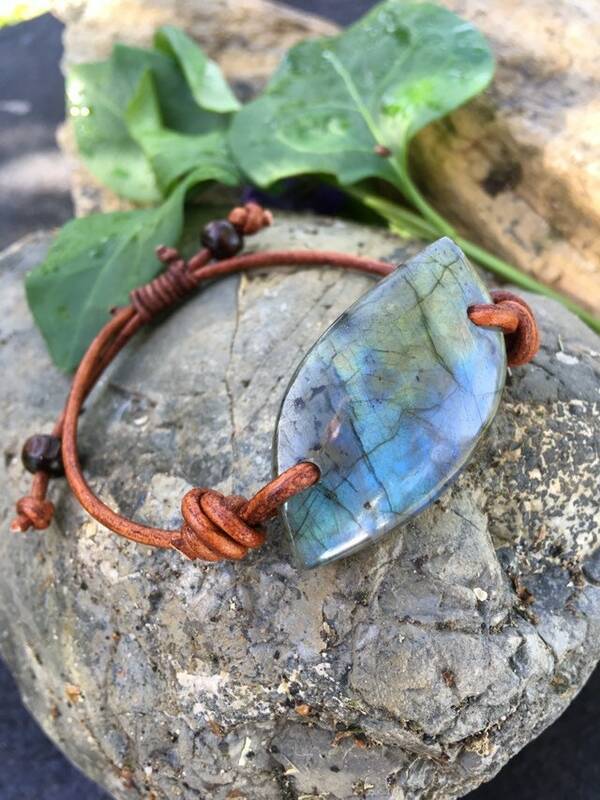 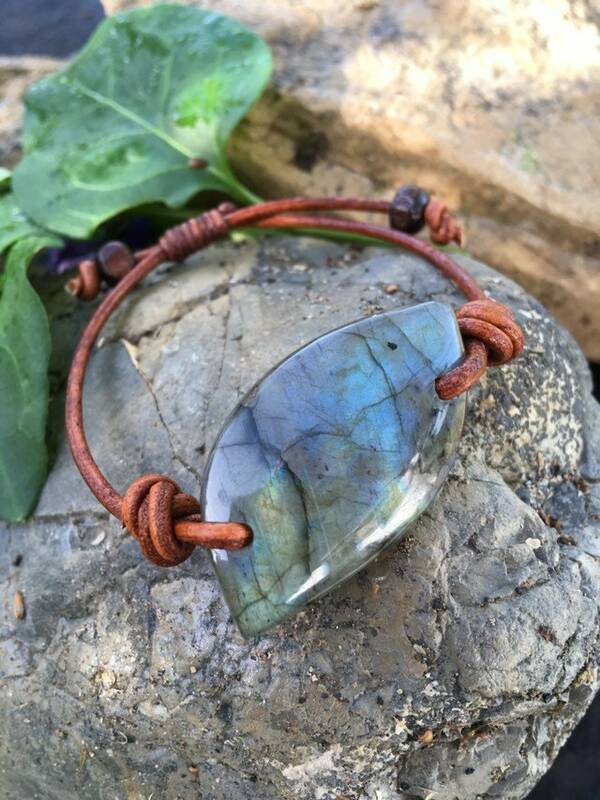 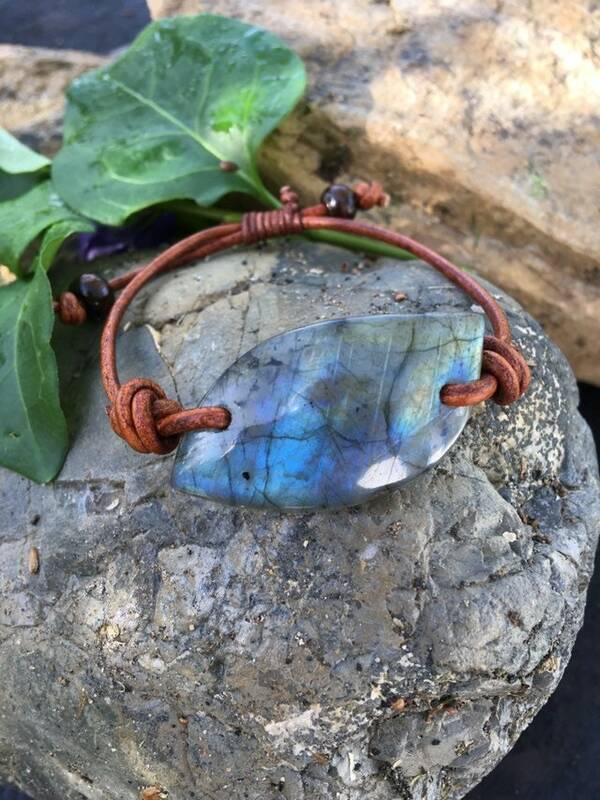 Absolutely stunning labradorite bracelet, with bright greens and blues, with touches of yellow, that just shimmer with every turn of the wrist. 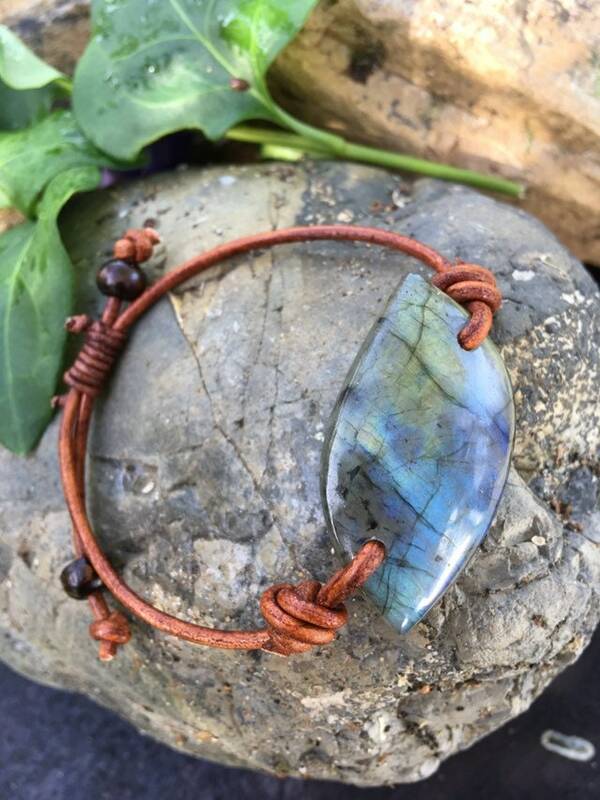 The stone is about 1 1/4” wide and 1 1/2” long". 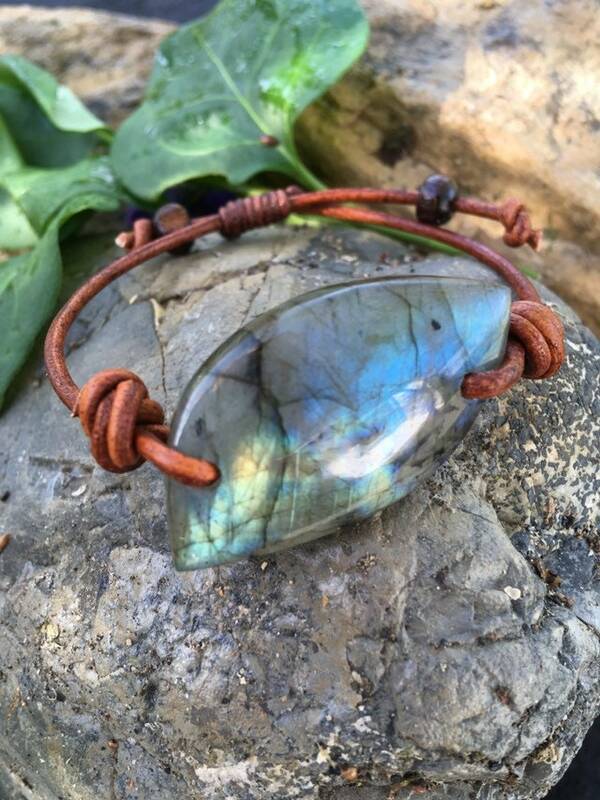 It is on a brown leather cord and is adjustable up to 9".